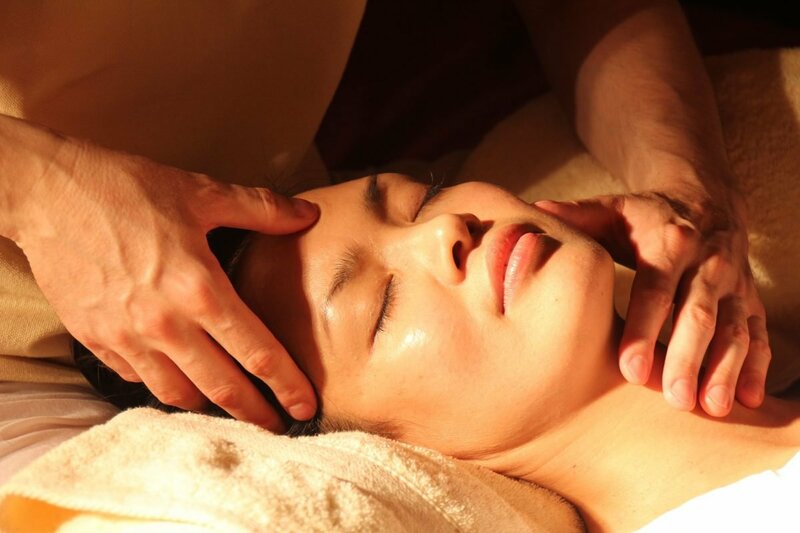 Our Wellness & SPA Victoria is here to give your body and mind the rest it deserves. 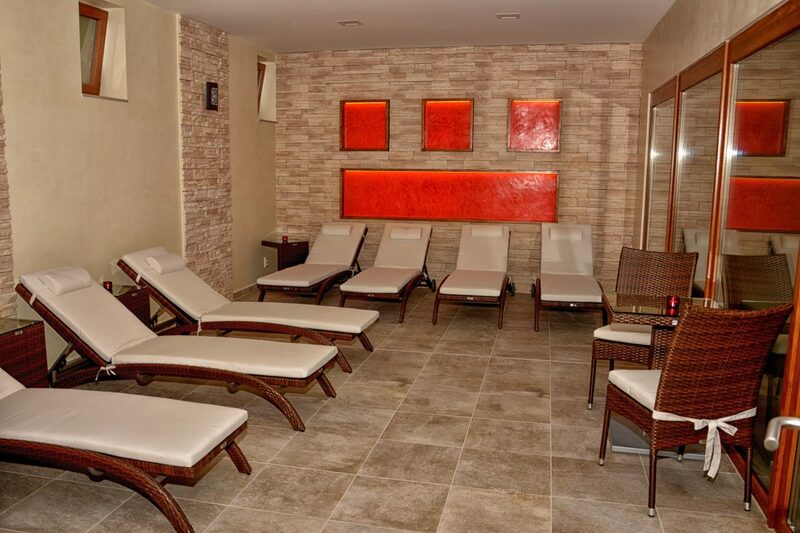 Let yourself be pampered by hands of skilled masseuses, warm up in saunas, stretch your muscles in the swimming pool or just chill in the jacuzzi. 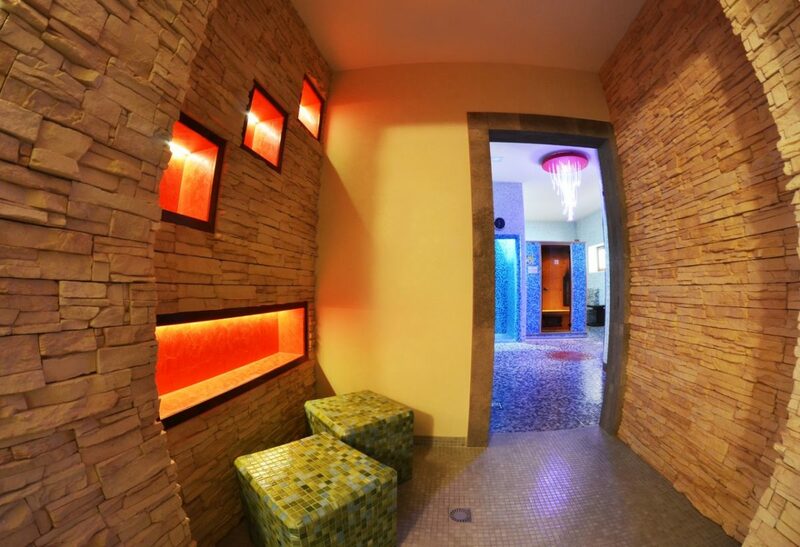 At the end, rest in the relaxation room with a glass of cold beer in your hands, or even better – in our beer bath. Our wellness centre has everything necessary to help you escape the daily stress of life and recharge your body with energy for next days. You do not have to be a beer lover to fully experience the positive effects of our beer bath either. Thanks to the beer yeast and its high content of vitamin B and natural enzymes, your skin will be reinvigorated, pores cleaned and mind rested. 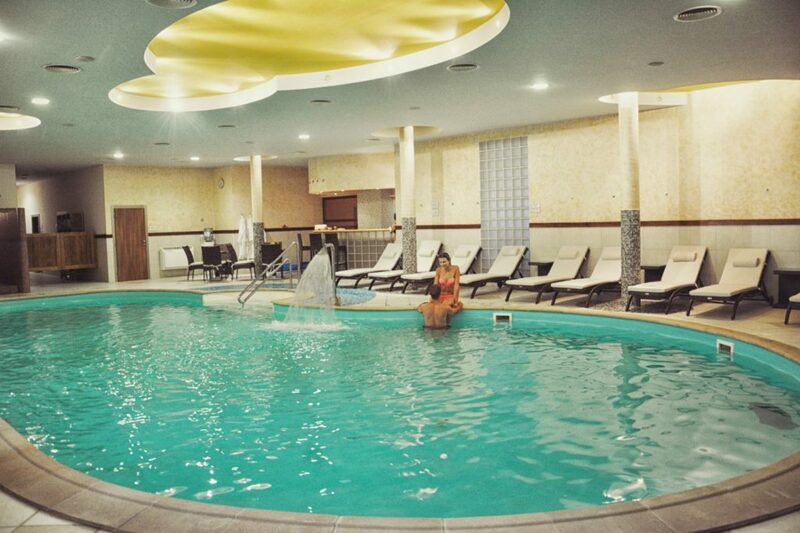 Swimming pool located in the center of premises Wellness & Spa is the dominant of the environment and with a length of 15 m is an ideal place for active recreation. The water temperature is 26-27 ° C and a depth is 120-150 cm. 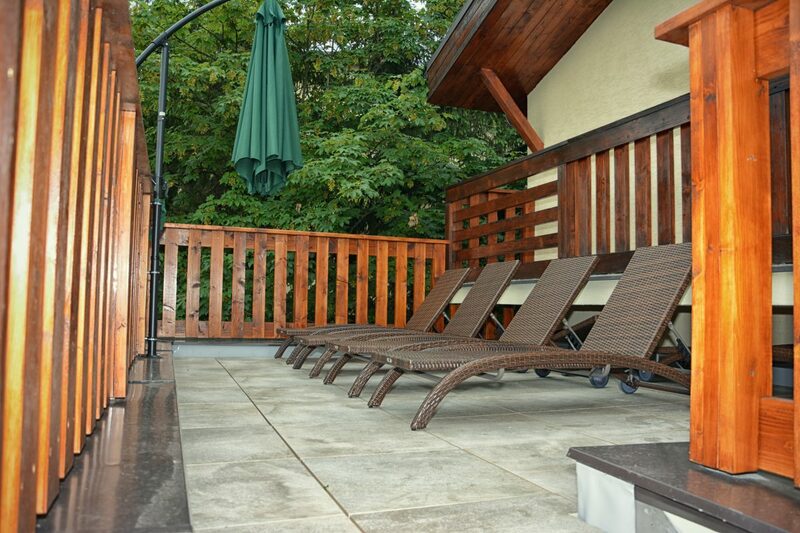 Next to the pool are placed chairs which are an ideal place for rest and refreshment (water, fruit, tea). Whirlpool massage pool with a capacity of 4-6 people and a water temperature of 36- 38 ° C is room for complete relaxation and blood circulation. By staying in the whirlpool bath you can pamper your body with a hearty warmth, massage and strength needed to relax and warm up muscles and joints. In the complex Wellness & Spa are several types of saunas, the beneficial effects of sauna you can enjoy in the Finnish sauna, infra sauna and steam herbal sauna. Beneficial effect on the immune system and prevent diseases of colds. High temperatures and low humidity is effective for the blood circulation of the skin and a increase the body temperature of 1-2 ° C. The increased blood circulation and overheating of the body improves the function of muscles and reduces the pain . Recommended time in the sauna is max. 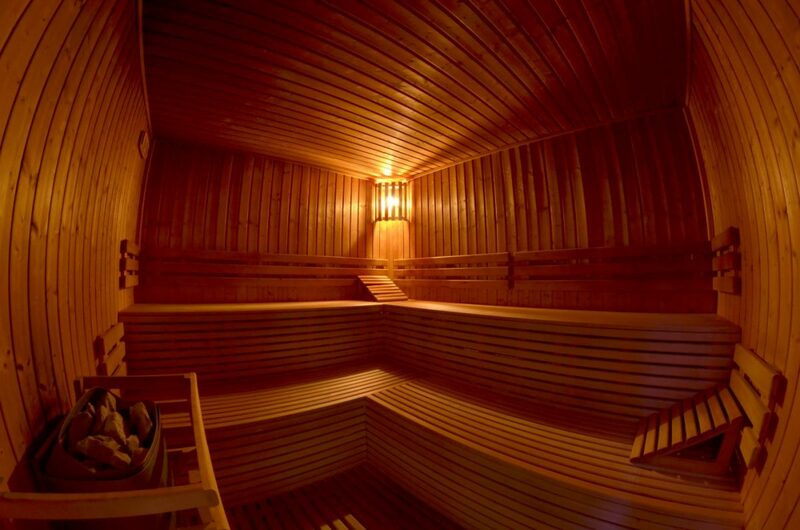 15 minutes, the temperature in the sauna is 90- 100 ° C.
respiratory problems, by encouraging circulation. 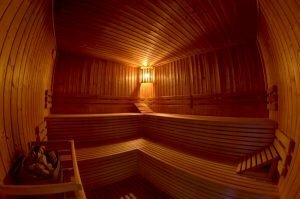 It is a combination of sauna and steam inhalations of herbal flavorings that has a positive effect on the respiratory system. It has a beneficial effect on skin and hair, deprives the body of impurities and helps blood circulation in the skin. The advantage of steam sauna is its temperature that reaches max. At 60 ° C and100% humidity, so for it is favorable (after consultation with your doctor) even for people who have health problems, because they can not go to classic sauna. 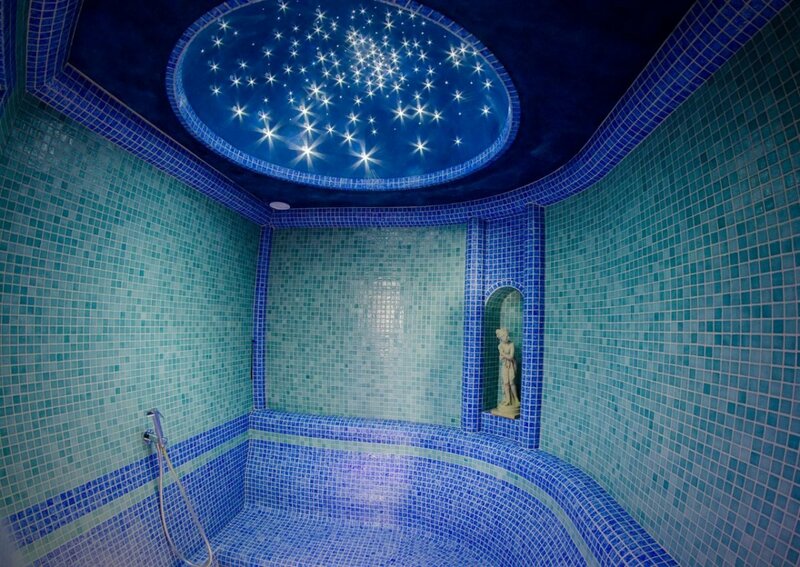 It is also known as Turkish bath. Humid air favorably affects the skin, thus it remains smooth and velvety soft. 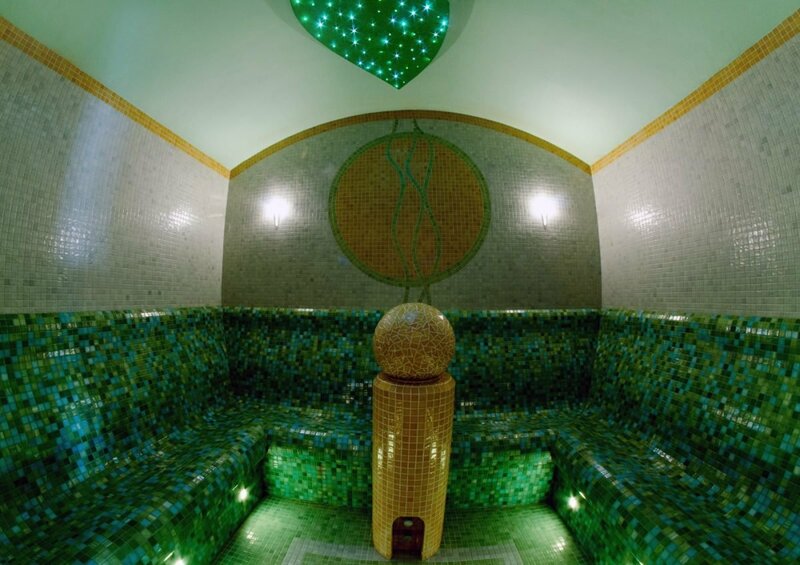 The steam sauna is beneficial in case of respiratory diseases. The steam sauna is very good to get the bodyrid of tiredness. It evokes a pleasant feeling of relaxation and mental well-being. Recommended time in the sauna is about 15 minutes. 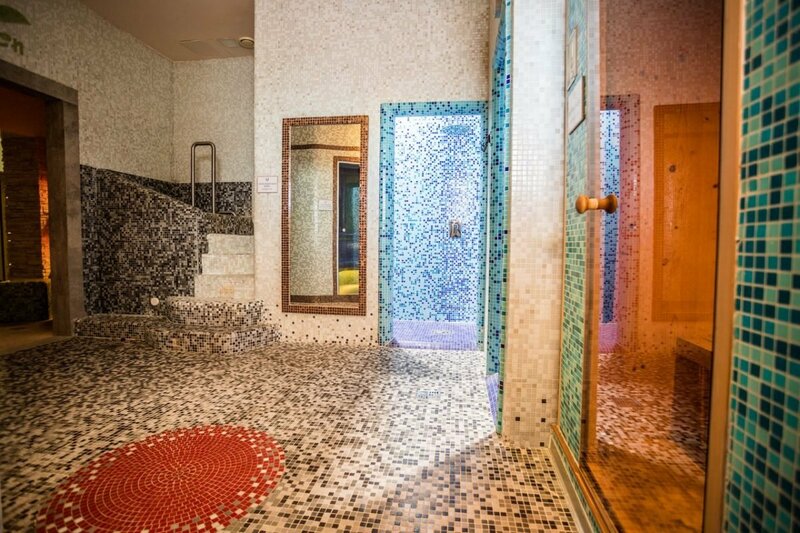 at 40 to 55 ° C with a humidity of 45 to 55 ° C.
We have prepared a unique experience with the form of baths, which are located in a separate room dedicated exclusively only for the visitor of bath. 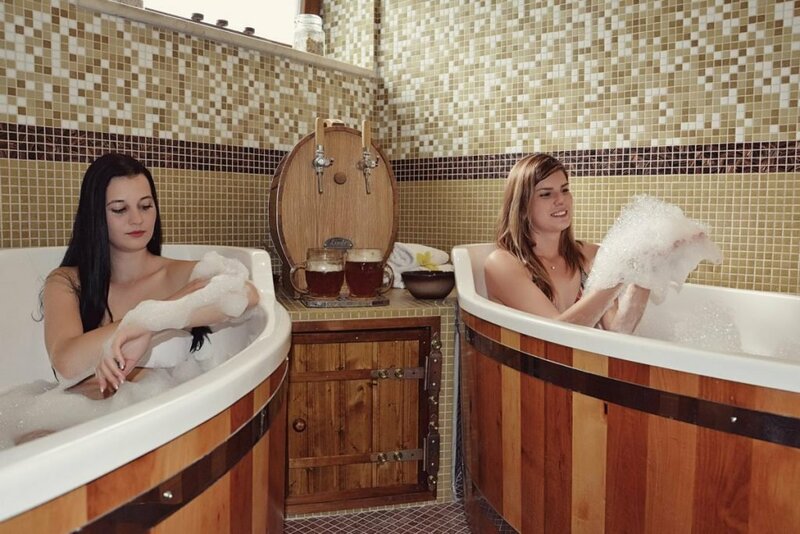 Beer bath is beneficial therapeutic treatments that exceptionally refreshes your body and spirit. It’s well working regenerative mechanism that has been used for centuries. Already in ancient Rome, the effects of beer used as a part of cosmetic treatment of women in order to have fresh and smooth skin. To achieve the beneficial effect of beer bath it is necessary to keep the right temperature, composition and duration of the bath. The essence of this procedure is staying in the 37-38 ° C hot whirling water, in which are dissolved biologically active substances presented directly in the beer. Bath time should not exceed 20 minutes. The bath is immediately followed by rest which supports the relaxation of all your body. Our recipe is made from a combination of light and dark beer that is made in our own brewery Victoria, with the addition of hops and brewer’s yeast. Present amino acids, B vitamins, natural enzymes, hop oils and a number of trace elements, along with a pleasant hop peeling particles speed up removing of old dead cells from the surface of your body and that help to start the new regeneration process. Bath supports metabolism and digestion , has a soothing effect, eliminates fatigue and stress, and the result is a perfect feeling of physical and mental rest. 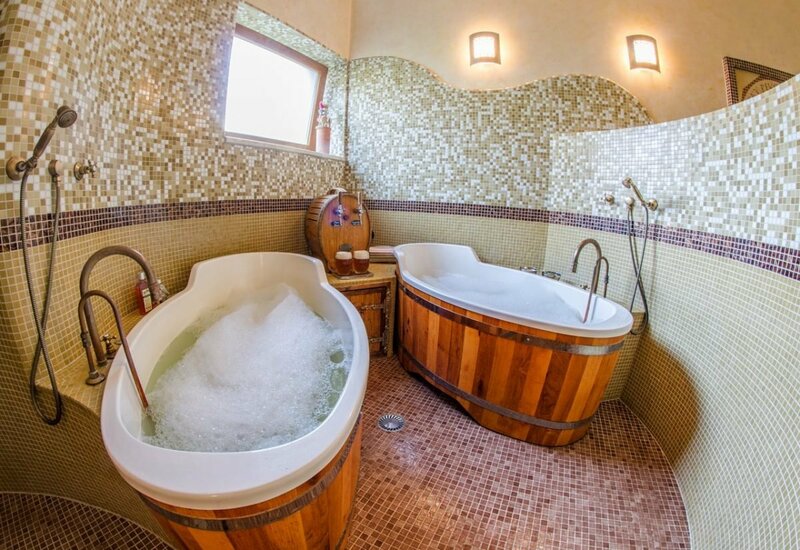 Immerse your problems in regenerating bath and take sips of our domestic beer. Pleasurable effects of natural bath are multiplied by warm wrap and undisturbed rest in bed. For people with high blood pressure, or allergic to proteins, carbohydrates, yeast and hops we advise using of beer spa only after consulting with your doctor. For those who are interested in different variants of bath we offer using of a herbal bath, respectively bath in salt from the Dead Sea. 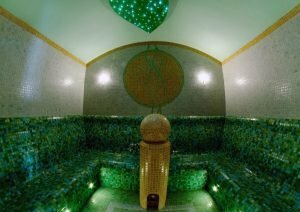 We will prepare an aromatic bath with the scent of herbs and adding of natural oils, which also provides relief and washes away stress and feeling of exhausting . The positive effects of the Dead Sea have been known for long time and minerals contained in it have a significant regenerative and anti-inflammatory effects. Salt, oil bath and mud from the Dead Sea will purify your body and improve your mobility. And for those who have their own tested recipe of domestic bath, or like to experiment, we can prepare a clean bath in which you can mix on your own according to your own flavor and smell. Exclusive ambience of our spa, undisturbed rest and relaxation will bring the desired regeneration and purification from everyday problems. Inbetween different sauna cycles and after the last cycle rest is highly recommended. After a sudden cool down of a heated body the blood circulation is sped up. 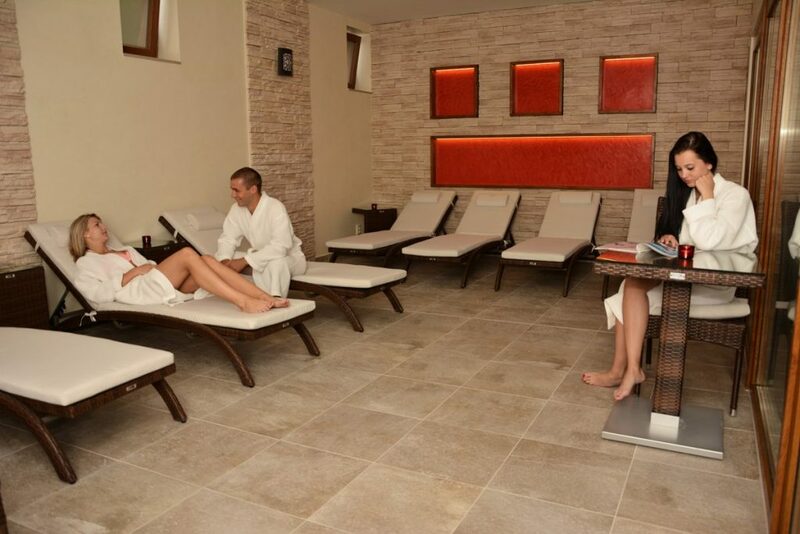 Positive effects of sauna routine on our body should be enjoyed in our cosy relaxation room or on the summer terrace with a drink in your hand. Massage helps to ease up the tense muscles and at the same time to relax the body and mind. In a pleasant environment under the hands of a skilled masseuse your body will undergo a complete physical and mental regeneration. It is beneficial for coping with stress, rehabilitation after injuries and also helps with some health issues.